Ola is present in 110 cities across India. The company was founded by Ankit Bhati and Bhavish Aggarwal in January 2011. Ola was entered in the market in 2011 with a market share of only 5-6% till the year 2012-13 which was increased to 61-62% in the year 2015-16 taking the lead in September 2014. Recently Ola confirmed that it raised $1.1 billion led by Tencent Holdings Limited, with existing investor SoftBank, and US-based new financial investors in the latest funding round. 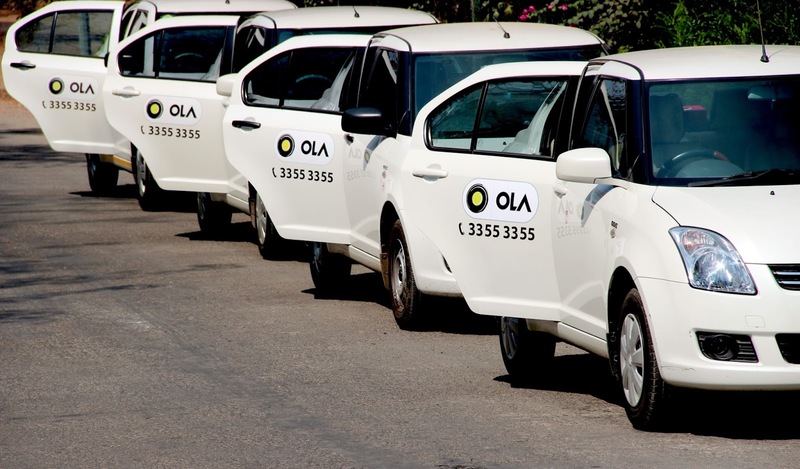 In one official statement, the Ola also revealed that they are in advanced talks with other investors to close an additional $1 billion as a part of the current financing round, to the total fundraising to over US$2 billion. In the Indian market, Ola will use the fresh capital for making investments in technology, supply, and innovations. The company will help in building the mobility needs and transportation modes easy in India. Ola will also come up and invest in the latest technologies like Machine Learning capabilities and Artificial Intelligence. Also, it intends to serve the majority of Indian classes who are looking for reliable and affordable transportation and commute modes. In India, Ola is currently present in 110 cities with more than 14 transportation categories like cars, auto-rickshaws, and bikes. On the first place, Uber is giving a tough rival competition to Ola in India despite reasons like the bad workplace, driver’s misbehaviour, privacy issues, or sexist ads. In financial terms, Uber infused Rs 51.64 crore in May this year into various operations in India. Ola was entered in the market in 2011 with a market share of only 5-6% till the year 2012-13 which was increased to 61-62% in the year 2015-16 taking the lead in September 2014. 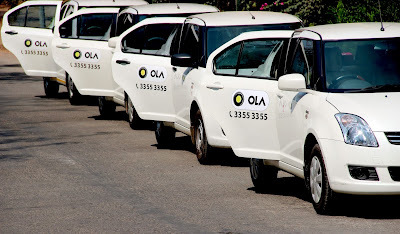 In January 2015, Ola’s growth was about 75% compared to June 2012. If we compare the market position of Ola and Uber, Ola’s market share was increased marginally by 2-3%, for the six month period up to September 2015. On the other hand, Uber’s market share was increased by about 22% in the same period. Ola’s market started to decline after Uber’s entry in 2013. Meanwhile, other international players are also looking at India to capture the market. Apart from the close competitor Uber, some other players are also set to enter in the space of cab aggregation business and ride-hailing. For example, Mahindra & Mahindra Ltd intends to enter with urban electric taxis for city ride-hailing and cab business in the near future.